Pretty soon it will be harvest season and what better way to celebrate than with an apple themed party? First I think you should find a local apple orchard and take your family harvesting. It's lots of fun to pick the apples together, plus you can get a lot for a killer deal. And it helps local farmers, which is always awesome. Once you have all your apples, you can throw the sweetest apple party ever! 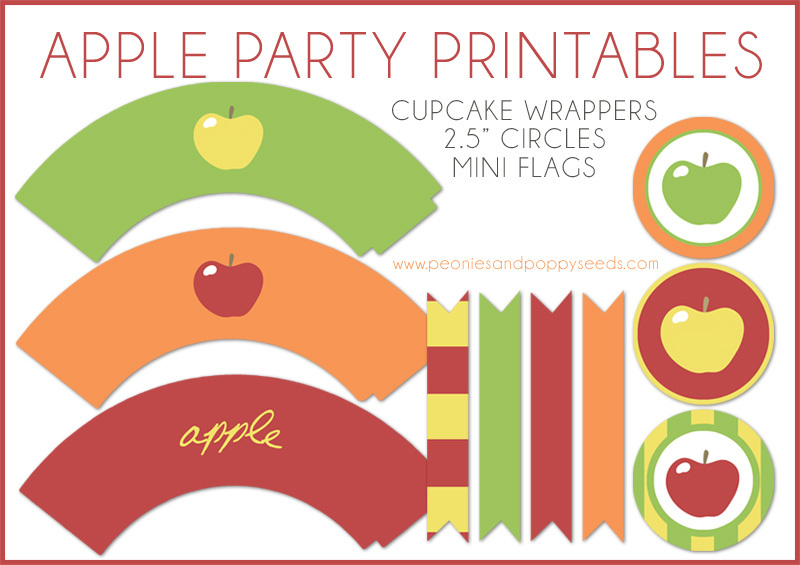 These party printables include three cupcake wrappers, twelve 2.5" circles, and a page of mini flags. Check back later this week to get more printables, recipes, and apple happy ideas!